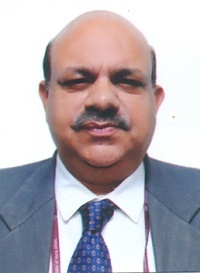 Shri Jaideep Govind belongs to Indian Administrative Service of the 1984 batch of the Madhya Pradesh Cadre. He joined National Human Human Rights Commission as Secretary General on 14.1.2019. He was posted as Special Secretary and Financial Adviser in the Ministries of Rural Development, Panchayati Raj ,Drinking Water & Sanitation and Department of Land Resources that include flagship schemes such as, MGNREGA, Pradhan Mantri Awaas Yojana-Gramin, Pradhan Mantri Gram Sadak Yojana, Rashtriya Gram Swaraj Abhiyan, NRDWP, Swachh Bharat Mission, Digital India Land Records Modernisation Programme etc. He has held various important posts in the Government of India, such as, Additional Secretary in Ministry of Home Affairs and looked after critical areas of Left Wing Extremism, Police Modernisation and procurement for CAPF etc. Shri Govind was looking after the Centre-State Division and Human Rights Division in the Home Ministry. He addressed the U.N. Forum in New York on human trafficking and attended the important meeting of trafficking of women and children in Bangkok. He has also served in the Ministry of Commerce & Industry, Department of J&K Affairs, Ministry of Tribal Affairs in Government of India. He worked in Madhya Pradesh as Division Commissioner, Ujjain for 3 years, Commissioner (Tribal), Madhya Pradesh and Principal Secretary, Technical and Higher Education etc. As Chief Electoral Officer, Madhya Pradesh he won Special Award in 2014 for best CEO in the country for conduct of Lok Sabha Elections and also received Best State Award in 2013, for conduct of Assembly Elections. He also won the Prime Minister’s award for Excellence for Civil Servants in 2010 as part of the team for effective implementation of the Forest Rights Act when he was Tribal Commissioner in Madhya Pradesh.